Discussion in 'Price Drops, Must-Have Freebies, and Deals' started by Lavender, Nov 26, 2016. 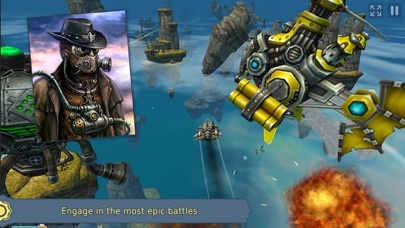 If you like scroller and runner games, this flying arcade full of epic battles and sky racing is your choice. 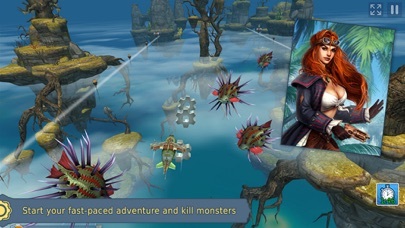 Set sail for a breathtaking 3D adventure. 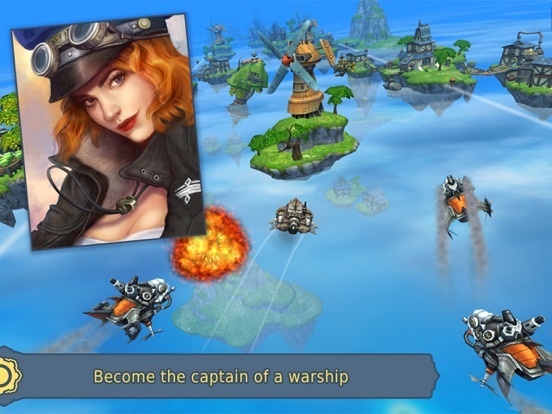 Sky to Fly: Faster Than Wind is an explosive mixture of various arcade genres. 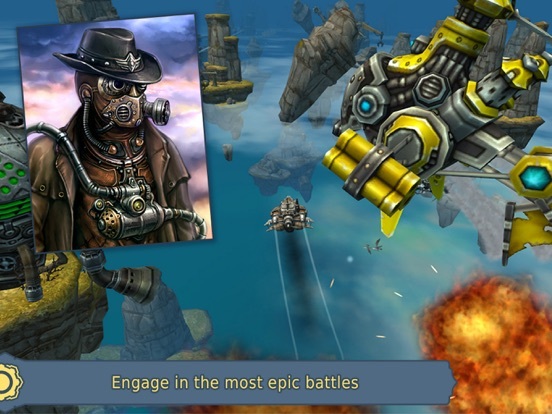 This game is a stunning steampunk scroll shooter with the elements of flying simulator and jumping games complemented by top-notch 3D art and a tint humor. This game is a true killer if you like to drive, avoid, jump and shoot on ultimate speeds. 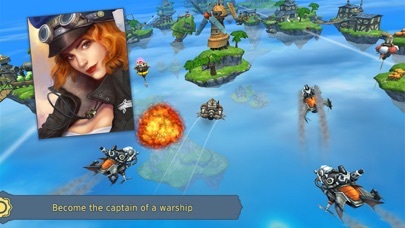 Game Features: ● 3 hours of shooting and flying action in the Story mode ● 20 core missions + 9 additional quests ● Mind-blowing 3D artwork with 10 types landscapes ● 12 charismatic characters, who get you acquainted with the bewitching virtual world ● 4 types of aircraft to fly and upgrade ● 8 crew members to hire for the unique playing experience ● Lots of enemies and monsters ● 6 boosters to pick up while flying ● 4 types of resources to collect Set sail for a breathtaking adventure as you hire a crew, kill monsters and engage in epic fights with this steampunk scroller! 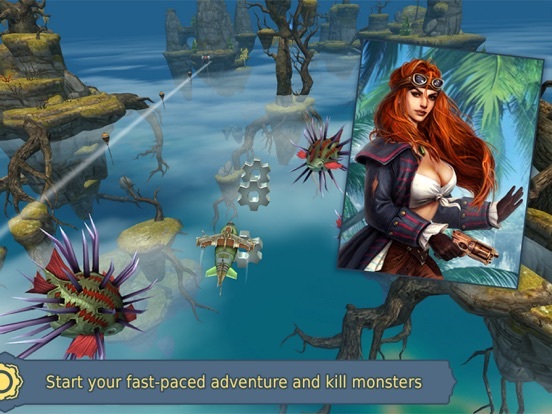 Prove your flying and shooting skills on various types of routes with obstacles and boosters scattered along the way. 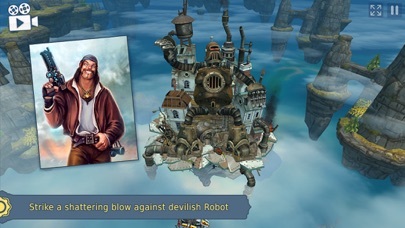 Collect cogwheels, dandelion fluff and other resources to complete story-bound quests and side missions. 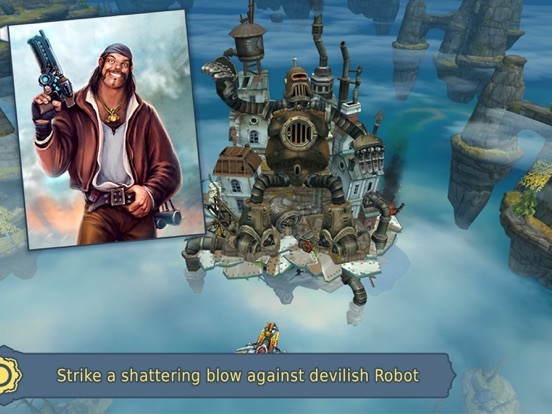 Sky pirates have always been a pain in the neck for Windopolis air forces, yet something more grave is threatening. 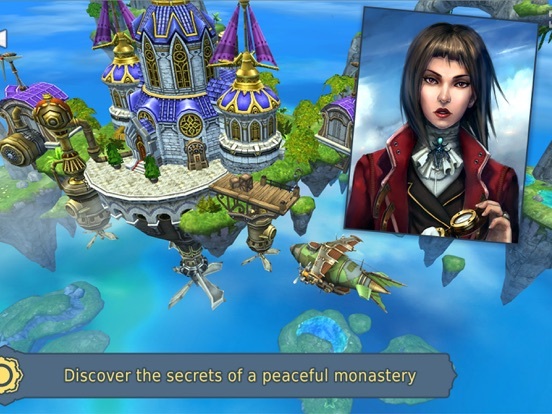 Play as a captain of a delivery ship who suddenly finds himself involved in conspiracy. Earn coins and collect priceless crystals to upgrade your ship and prepare it for ruthless battles of the upcoming celestial war. 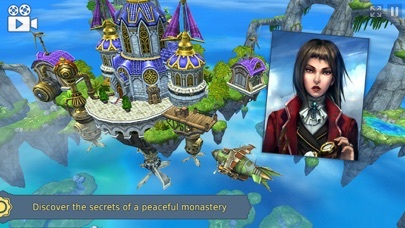 Guide your character through multiple battles from a total noob to a skillful ranger in this sky-high adventure game! As it's free why not just try it and see if you like it. I only played it a few stages, and the gameplay and aesthetics seem good, but the monetization seems off for a premium game. If im not mistaken, the repairs were on timers, and there's multiple currencies. Of course i cant say much about resource balancing since i deleted the game after about 5 or 6 runs. Currently free to download so no harm in trying it out.